서명/저자 Handbook of creative cities / ed.by David Emanuel Andersson ; Ake E. Andersson ; Charlotta Mellander. 발행사항 Cheltenham,UK ; Northampton, MA : Edward Elgar Pub , 2011. With the publication of The Rise of the Creative Class by Richard Florida in 2002, the creative city became the new hot topic among urban policymakers, planners and economists. Florida has developed one of three path-breaking theories about the relationship between creative individuals and urban environments. The economist Åke E. Andersson and the psychologist Dean Simonton are the other members of this ''creative troika''. 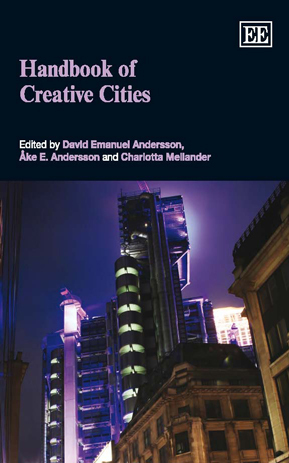 In the Handbook of Creative Cities, Florida, Andersson and Simonton appear in the same volume for the first time. The expert contributors in this timely Handbook extend their insights with a varied set of theoretical and empirical tools. The diversity of the contributions reflect the multidisciplinary nature of creative city theorizing, which encompasses urban economics, economic geography, social psychology, urban sociology, and urban planning. The stated policy implications are equally diverse, ranging from libertarian to social democratic visions of our shared creative and urban future. Being truly international in its scope, this major Handbook will be particularly useful for policy makers that are involved in urban development, academics in urban economics, economic geography, urban sociology, social psychology, and urban planning, as well as graduate and advanced undergraduate students across the social sciences and in business.